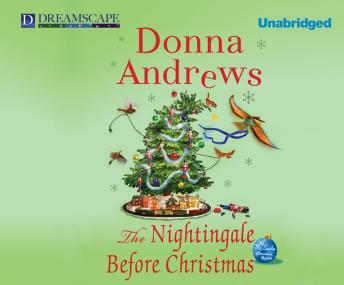 Listen to "The Nightingale Before Christmas: A Meg Langslow Christmas Mystery" on your iOS and Android device. As the holidays draw near in Caerphilly, Mother volunteers to take part in a big Christmas-themed decorator show house - each room of a temporarily untenanted house is decorated to the hilt by a different decorator for the public to tour. Of course, Mother insists that Meg pitch in with the organization, and she finds herself surrounded by flamboyant personalities with massive egos clashing and feeling their professional reputations are at stake. Then the rooms start to be sabotaged, and an unfortunate designer turns up dead - making Mother a prime suspect. Can Meg catch the real killer in time to save Mother the indignity of arrest? Part 18 of the Meg Langslow Mysteries series.